How Do I Begin Services With Surpassion? Call and speak with the administrator or alternate administrator to discuss your needs, Surpassion’s ability to fulfill those needs, and what to expect from our care team. If it is agreed to proceed, you will be scheduled for an in-office meeting for intake and admission. Can I Transfer To Surpassion Healthcare Services, Inc.? Surpassion Healthcare Services, Inc. does not automatically accept all case requests. Surpassion Healthcare Services, Inc. accepts a case if it can service the needs of the client. Each potential client must go through a vetting process to be accepted as an Agency-Directed client. What If I Am Uncertain Of What Services Are Needed? Just give us a call at 540-412-5529 or 844-246-0203. A member of our knowledgeable care staff will discuss your situation and help determine you or your loved ones care needs. Does Surpassion’s Clients Need To Be Hospitalized To Qualify For Services? No. Hospitalization is not a requirement to receive Home Healthcare. In fact, many of our patients are referred by their personal physicians. Questions To Ask References For Surpassion Healthcare Services, Inc. and/or It’s Caretakers? Do you frequently refer patients to this agency? (To a physician) Are your patients satisfied with the services? Do you have a contractual arrangement with this agency? If so, are they required to meet special standards of care? How long have you been working with this particular agency/caretaker? What are some of the strengths and weaknesses of the agency/caretaker that you noticed? Services do not begin immediately. After intake and admission, your request for services with our agency must be authorized by the Department of Social Services (DSS), approved by Medicaid, and personal care hours designated by Medicaid prior to the initiation of services. How Soon Can I Receive an Aide? Surpassion Healthcare Services, Inc. will assign an aide only after Medicaid has authorized your service authorization request or private pay funds have been submitted to the account of the client. This allows the agency time to ensure the best aide is assigned to meet the needs of the client and that all administrative requirements in accordance with Virginia Department of Health (VDH), Medicaid and the Agency policies and procedures have been met. How Does Surpassion Healthcare Services, Inc. Select Its Aides? Surpassion’s aides are selected through a comprehensive interview process. Aides must first pass a National, State and County Criminal background check and well as a Child Protective service check. Only aides with adequate knowledge and experience are selected and trained. Once selected, aides receive Agency orientation, and training prior to being assigned to a client. Aides must first work on a probationary period with a trained and experienced aide before being assigned to a client and must be physically able, ready and willing to perform the tasks and duties of their job. What Is The Reliability of Surpassion’s Aides? Our aides are proven highly reliable. We do not always get it right the first time and those that prove unreliable are not retained by our agency. Are Surpassion’s Aides Insured While Providing Care In My Home? Yes. All care team members are fully insured and in addition, all aides are fully bonded against theft. Can I Use My Own Aide (a friend, acquaintance or family member?) If I Choose To Go Agency-Directed? Yes. You may use any individual of your choosing as long as those individuals meet the VDH and Medicaid requirement for a Home Health Aide (HHA). They must be 18 years old, speak, write and comprehend English, meet minimal training standards (40 hour Medicaid approved PCA course), and pass the criminal and Child Protective Services background check. Does Surpassion Healthcare Services, Inc. have a waiting list? Yes. Surpassion Healthcare Services, Inc. is intentionally a small company. We are personally involved with the care of each client and will only accept as many clients as we can accommodate with oversight. On the first visit, a nurse or therapist will conduct an initial evaluation. This thorough interview and evaluation is part of our coordinated approach to managing your overall health status. Our evaluation focuses on educating you in self-care management and partners with your doctor to promote disease prevention and proactive care – which includes the family or caregivers. This team approach actively engages you and your caregivers in your health care. Will Surpassion Healthcare Services, Inc. Create A Care Plan Just For Me Or My Loved One? Yes. A Surpassion nurse will come to your home to assess your needs. We will communicate with your doctor to discuss the assessment and work together to develop your personal plan of care. Surpassion Healthcare Services, Inc. staff will implement your physician-ordered plan of care and keep your doctor updated about your progress. If your condition or needs change, we’ll collaborate with your doctor to review your plan of care and make any adjustments deemed necessary. The frequency of home healthcare visits and the services provided are based on your doctor’s orders in your personal plan of care. Your doctor may change your plan of care, increasing or decreasing the number of visits or services provided, in order to provide you with the best home health care for your needs. Will Surpassion Healthcare Services, Inc.’s Clients Always Receive Care From The Same Caregiver? Our goal is to establish a long-term caregiving relationship with your loved one. Should your family want to request another caregiver for any reason, we’ll search for a match until your family is happy. 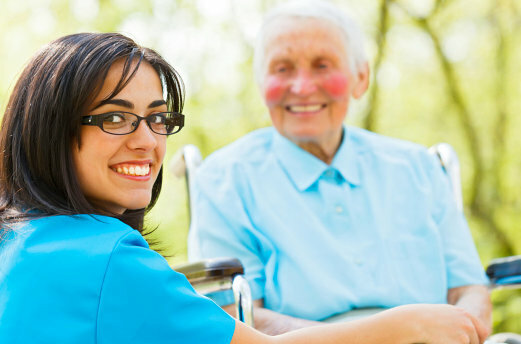 We understand that a strong rapport and trust with a caregiver is vital to a successful home-care experience. Can Surpassion Healthcare Services, Inc.’s Caregivers Assist With Medications? Yes. Surpassion’s caregivers can assist and monitor with self-administration of medication. What Is The Difference Between Home Care, Home Healthcare and Hospice Care? Home Healthcare provides medical treatment for an illness or injury, with the goal of helping you recover, regain your independence and become as self-sufficient as possible. Home health care can also help you live with a chronic condition, like heart disease, COPD, or diabetes. Additionally, home health care can include some personal care services, like help bathing and dressing, as part of the plan of care ordered by your doctor. Hospice care is designed to provide non-curative treatment and comfort for those who are facing a life-limiting illness. It offers a support system of medical, social, psychological, and spiritual services that support a patient, their family, and other loved ones. What Qualifies As A “Home” When Home Healthcare Is Being Considered? If you meet certain eligibility requirements, Medicare may pay for your covered home health care for as long as you’re eligible and your doctor certifies that you need it. Additionally, your state’s Medicaid program or your private insurance also may cover home health care, or some services that Medicare doesn’t cover. Check with your state Medicaid program or insurance company to learn about their specific eligibility requirements. Do You Accept Medicaid, Medicare or Insurance? Surpassion Healthcare Services, Inc. currently accepts Medicaid Waivers and Private Pay. Surpassion Healthcare Services, Inc. also accepts, Cash, Check, Money Order, Visa, Master Card and Dinners Club. What are Surpassion Healthcare Services, Inc.’s Certifications? Surpassion Healthcare Services, Inc. is licensed by the Commonwealth of Virginia. Surpassion Healthcare Services, Inc. is approved by Virginia Department of Health and Medicaid as a Home Health Agency. Surpassion Healthcare Services, Inc. is approved by the Department of Behavioral Health Services as an Early Intervention Provider. Does Surpassion Healthcare Services, Inc. Provide Advocacy? Yes. In certain situations, Surpassion Healthcare Services, Inc. will provide advocacy and advocacy training to primary care givers for Individualized Education Program (IEP) support. Disclaimer: We are not lawyers. How Long Has Surpassion Been In Business? Surpassion Healthcare Services, Inc. Services was founded in Fredericksburg, Virginia in 2010. How Does Surpassion Select New Members of Their Care Team? Surpassion’s staff are vetted and selected through a board interviewing process. Our staff is highly qualified and trained, possessing decades of experience and knowledge. All Surpassion care team members (staff/aides) receive ongoing monthly in-service training to maintain proficiency and quality of care. Additionally, Surpassion’s staff are required to take ongoing and continuing education and are evaluated every 6 months on job performance. What Are The Different Screening Processes Staff/Aides Must Complete? Agency-Directed services are provided by a Medicaid enrolled provider agency. is a statewide Medicaid service delivery model of care program that provides an alternative way of receiving home care services, where the consumer has more control over who provides their care and how it is provided. In select waivers, three services are available through the consumer-directed model or the agency-directed model. To receive CD services, the individual or a designated individual must act as the employer of record (EOR). The EOR hires, trains, and supervises the attendant(s). A minor (under the age of 18) is required to have an EOR. These services are: personal care, respite care, and companion care. Enrolled individuals with a demonstrated need for these services may elect to receive them through either the CD model of service delivery, the agency-directed (AD) model of service delivery, or a combination of both. The CD model differs from AD services by allowing the individual to assume the responsibility for directly hiring, training, scheduling, terminating staff and monitoring the provision of services provided. It is determined that he or she cannot be the employer, and no one else is able to assume this role. The individual wants CD services, but health and safety cannot be assured. The individual has medication or skilled nursing needs or medical/behavioral conditions that cannot be met through CD services. What Is the Medicare “Homebound” Requirement For Home Health? The individual does not have to be bedridden to be considered “confined to the home”. However, the condition of the patient should be such that there exists a normal inability to leave home AND consequently, leaving home would require a considerable taxing effort.